AHMEDABAD: 23RD DECEMBER, 2018 |	MUMBAI: Coming Soon. AHMEDABAD: 23RD DECEMBER, 2018 |	MUMBAI: Coming Soon. 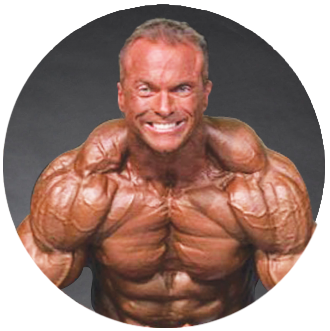 Justin is one of the finest Bodybuilders you will ever met anywhere, and is a true Aussie and NABBA great. Justin was also part of our elite Judges panel, fulfilling the role of a Senior Judge, and was absolutely stellar in his performance on the day. So, it was a no brainer for us to bring him back for the next season of Boss Classic. Eyad was the Head Judge of our star cast of Judges at our 1st Boss Classic Classic, delivering superlative judging. Eyad is one of the Best Judges in the in world and also one of the best coaches you will find anywhere. 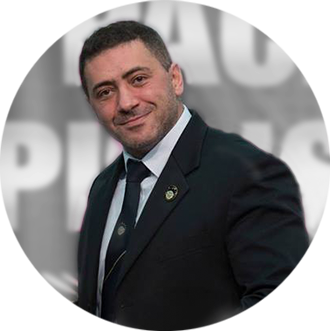 Bringing over 20 years of 1st class experience, Eyad is someone who's easily one of the Top Judges across the Globe. Bringing nearly a decade of International Judging experience with having been Head Judge at multiple World Championships across 3 different Federations, you would be hard pressed to find a more qualified Head Judge for our Inaugural Show. Not only the above, Eyad is a World Class Contest Prep Coach - Having produced many World Champions over the last 20 years, plus he's a world Class Bodybuilding Show Promoter and the current Head of PCA Australia. Amy Fox is a name synonymous with Bodybuilding all round excellence, and a leading name in the Australian Bodybuilding. In 2014 Amy became the first Australian to win an IFBB Pro Card in the Women’s Physique Division and has been coaching and mentoring other Personal Trainers in the industry ever since. Since 2009 Amy has lectured international and domestic students studying their Certificate 3 & 4 in Fitness to become Personal Trainers as well as tutoring fitness students online. Outside teaching, Amy's Personal Training business specializes in Bodybuilding and Fitness Competition Preparation including customized food, training and supplement plans, routine choreography and posing which comes naturally to Amy, and something that she truly enjoys! Creating balance and symmetry throughout the body was the thing that originally attracted Amy to this great sport. She truly enjoys the challenge of having to figure out poses to best display the individual’s physique onstage by hiding their weaknesses. Over the years Amy has assisted with, as well as delivered a number of health & fitness seminars and muscle camps across Australia with Pros such as Milos Sarcev, Monica Brandt and Ben Pakulski as well as delivering a Muscle Camp in Las Vegas with Kris Gethin and his Supplement Company Kaged Muscle. Amy's been working with Titan Fitness, Coogee Australia since 2015 and has over 15 years’ experience as a Personal Trainer landing her very first PT job in London when she was just 19. Now she's the Titan Fitness in-house trainer educator, however spends most of her time at the club dedicated to creating video content for her YouTube Channel. Amy is a qualified IFBB Judge, and someone who is very highly regarded and respected, as she's able to bring a wealth of knowledge from her past experience as a competitor and the ever growing experience of being one of the leading Posing Coaches in Australia. In Amy's own words, "This area is extremely rewarding for me! I finally have the chance to share some great tips and tricks I’ve learnt over the years to help transform so many more physiques than I had ever thought possible! And when it comes to judging, my own experience of having been a competitor and a long association with all genres of bodybuilding allows me to judge all categories objectively, leaving any personal biases aside!" Boss Classic is truly delighted to have Amy as one of our judges of the elite judging panel. Jivesh Shetty is a name that is synonymous with effortless combination of brain and brawn. Having spent a good 15 years in the industry, Jivesh is a very well rounded accomplished fitness professional. 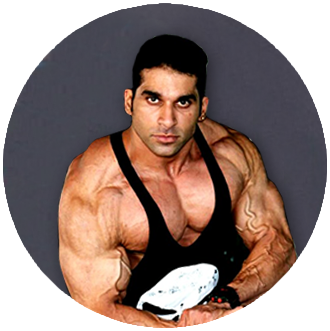 From being the youngest black belt achiever in India, to winning numerous titles in Powerlifting and Bodybuilding at National level, to sharing quality knowledge with up and coming fitness professionals, Jivesh is one of the very well respected and well liked fitness professionals of the fitness industry. And at Boss Classic we are excited to have him on board as a Senior Advisor and a Judge along with other Industry leaders.